Anyone who loves bringing friends home and spending some quality time has probably considered the idea of creating a bar to transform the home into a more entertaining and inviting place. This is an ideal spot when you wish to just relax and enjoy a drink after an exhausting working day. 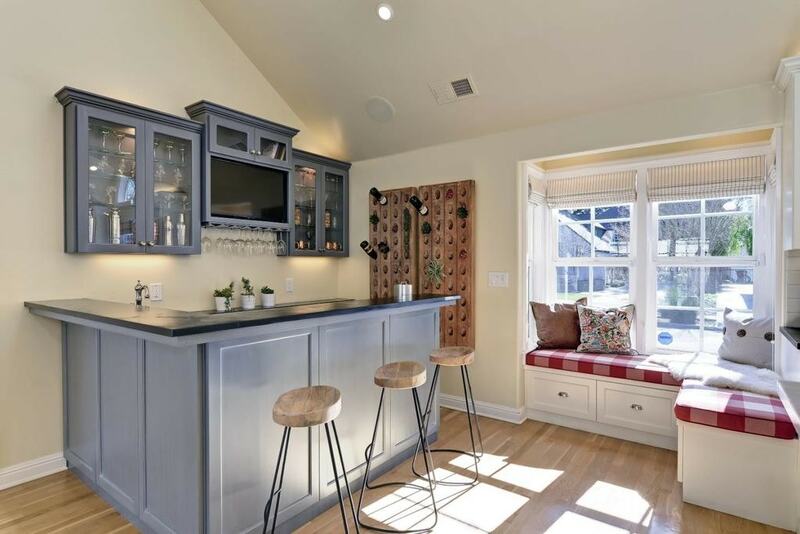 It’s not easy to take a space from your home and turn it into a functional and attractive bar as you are most likely limited by certain elements. 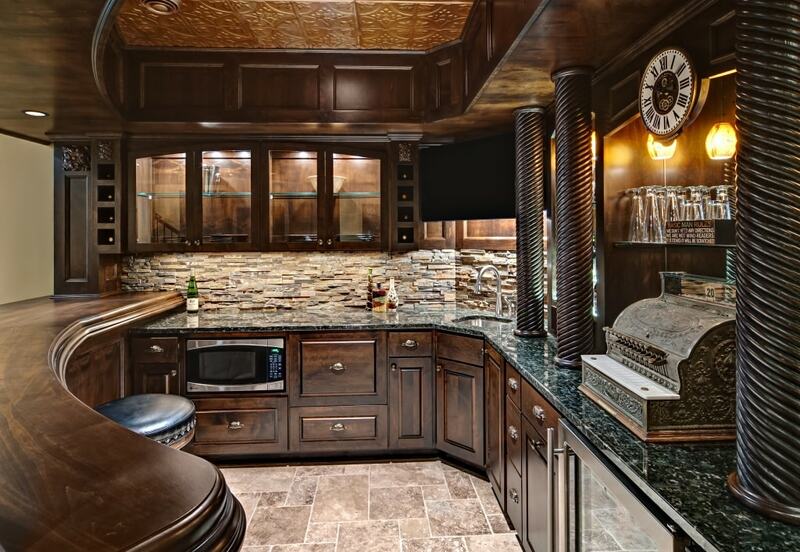 When it comes to planning for your new home bar, it’s essential to figure out the best location to put it. The obvious place would be the kitchen, but it depends on the layout of your home. Some people will rather prefer to create a bar in the living room if the space permits and others could choose to make the basement more lively. Another option to keep in mind is setting up an outdoor bar. Many people dream about creating their own bar at home and if you’re one of them you’re probably having difficulties when it comes to inspiration. The perfect bar design is somewhere out there, and you only need to find it. 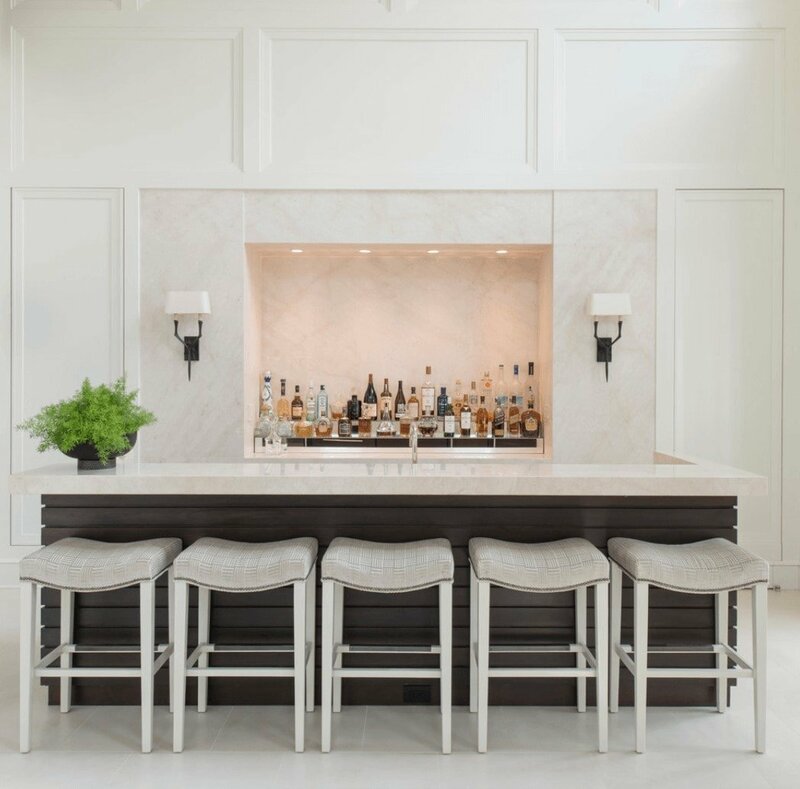 To simplify your research process, we’ve assembled a list of ideas that should hopefully inspire you to create a fitting bar for the style of your home. Some of these bars can be a bit too extravagant but don’t be discouraged if the available space or budget don’t allow you to try a specific design. 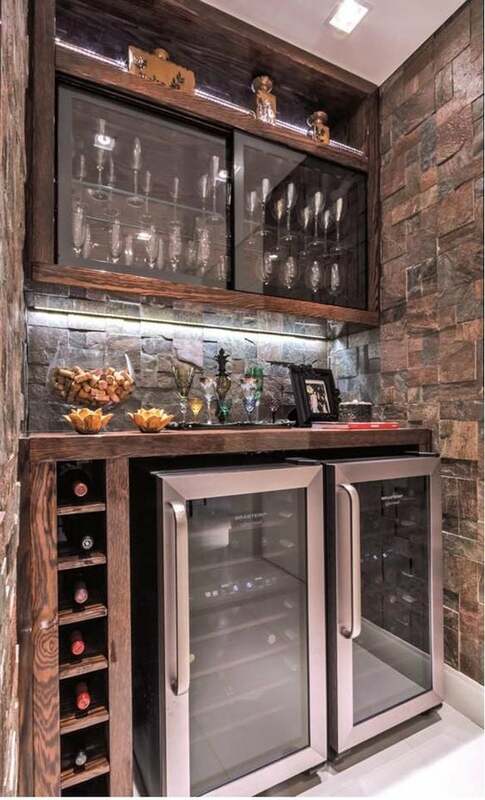 You can at least use some ideas for inspiration and come up with your own spin on how a home bar should look like. To create a very similar atmosphere to a real bar you should consider matching the stools to the bar top. This isn’t just a matter of keeping a consistent style and tone. Ideally, your seating needs to keep a good balance in terms of size so that people sitting at the bar have a more authentic feeling. To give you an idea about the best fit, consider how most bars range from 41 to 43 inches in height. In this case, it’s recommended to go for bar stools with a matching height of around 29 to 32 inches. There are various styles for the stools, but for an optimal experience, it’s important to get chairs with good back support. If you really want to get the best ones, we cannot recommend more these bar stools on Amazon. 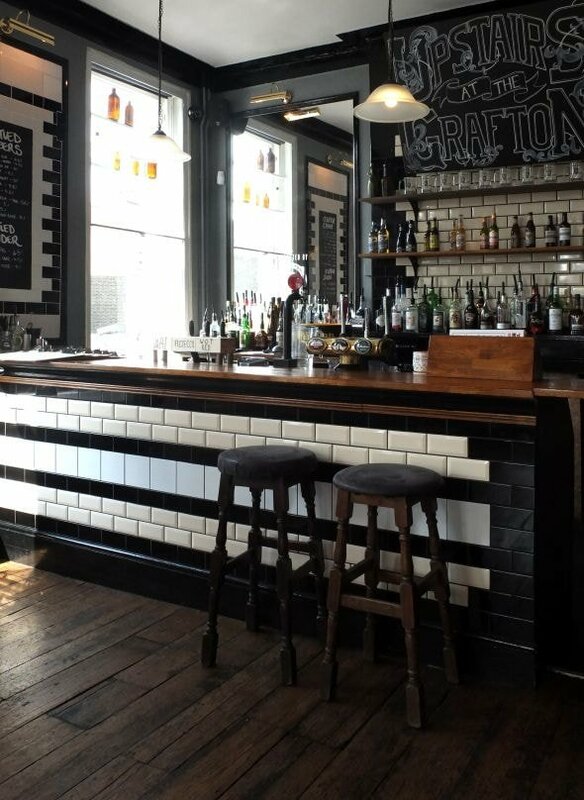 There are few elements that make you feel like sitting in a real bar better than eye-catching lighting combinations. 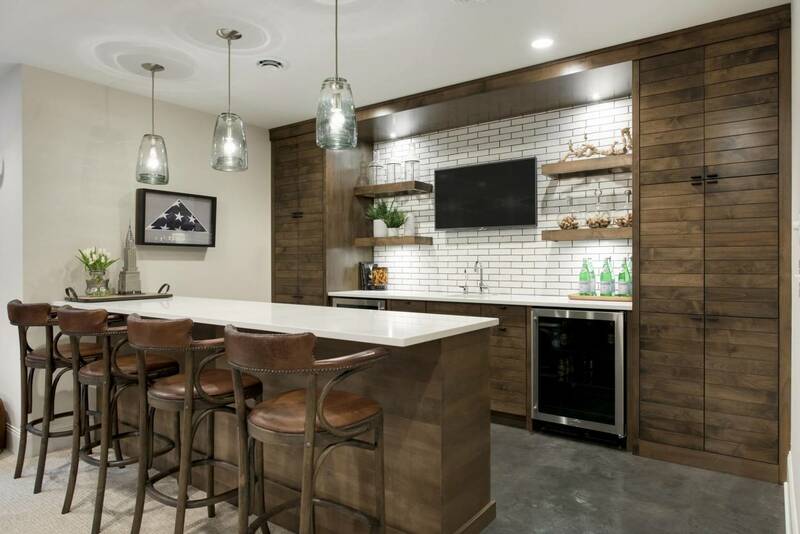 Home bars can be enhanced by mixing pendant lights with recessed lighting. To make pendant lights work, you will need to ensure they can hang high enough. For a really cool atmosphere, we recommend Edison light bulbs as their soft glow is very pub-like. By combining pendant lighting with recessed lighting you can obtain a stunning effect. These lighting fixtures can deliver some solid general illumination and they won’t require tearing out the entire ceiling. As long as you have a solid installation guide you will be able to make use of the combined power of pendant and recessed lighting solutions. Regardless of placement, any true bar needs to be well stocked with liquor, drinkware, and other accessories. For this reason, you have to invest in practical storage solutions. One solid idea is to rely on multiple cabinets which can be built-in or standalone. Built-in cabinets represent the costly option, but it’s also the most rewarding as the final result has a more permanent look that most people prefer. If this sounds too complicated, there’s also the option to use various pieces of furniture like bookshelves or buffet tables. The idea is to use enough cabinets to fit the needs of the bar you plan on creating. A funny idea if you want to be a little quirky is to get one of those sixteenth century globe bar cabinets. Those who aren’t fans of DIY projects will probably prefer the option to just buy a ready-made unit. In that case, you will be pleased to find out that freestanding bars are a thing. Just buy the bar you want and place it anywhere you like. It may take some time to look through furniture stores and other retailers, but this represents a convenient idea assuming that you have the available space and the bar fits your home’s style. We always find good products on Amazon so we can recommend you this beautiful cabinet. The bar’s surface is evidently an important aspect as this is where most of the action unfolds. That’s why it’s recommended to invest in a sturdy bar surface like granite or marble. These are expensive options, but you can rest assured that you won’t have to worry about durability problems. It’s also important to keep in mind the appearance of the bar. Finding a good balance between looks and durability is not an easy task. Marble slabs are definitely attractive, but some people might prefer the dark grain wood surface, more reminiscent of traditional pubs. Ice is always an important component for many drinks so it’s recommended to have a countertop icemaker in your home bar. Instead of going to the kitchen all the time when ice is needed, you will be always prepared with the help of this little appliance. Icemaker machines aren’t very expensive and guests will surely appreciate it as you can serve drinks with ice in a hassle-free manner. Here’s a reliable icemaker that we like. While ice is great to use when preparing drinks, it’s obviously essential to be able to keep some beverages permanently chilled. For this reason, you might consider adding a small refrigerator to your bar setup. It’s recommended to go for a model with versatile storage space like this one from Amazon. When designing your dream bar it’s important to be mindful of color combinations. There are no clearly defined rules, but if you want your bar to look more stylish, it’s recommended to try out contrasting certain tones. For example, you could mix an all-black palette with some golden metallic fixtures that form a long-lasting impression. Some well-placed lighting can finish the overall look. That’s only an example, but you can get creative and try out other color combinations to match the style of the rest of your home. Wine enthusiasts shouldn’t overlook the visual potential of wood chevron shelving. 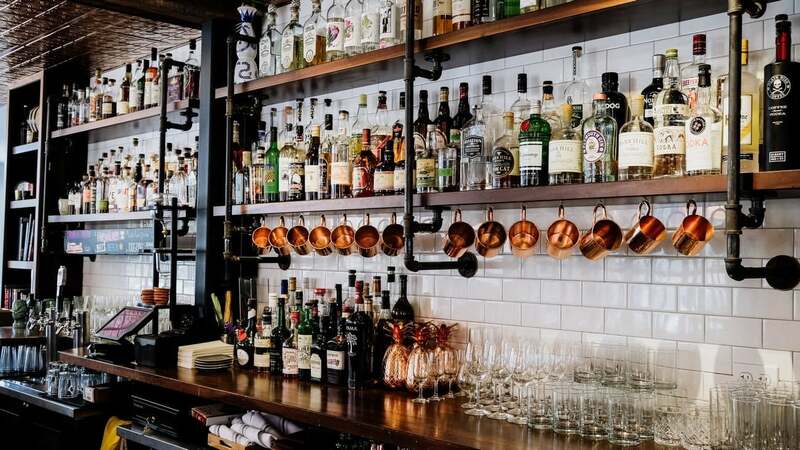 This is a fairly simple and straightforward addition for your bar, but the switch from classic horizontal shelving to an angled one can have a dramatic effect without compromising on the storage capacity. Bars don’t necessarily have to look like an element that’s extended from the rest of the furniture. 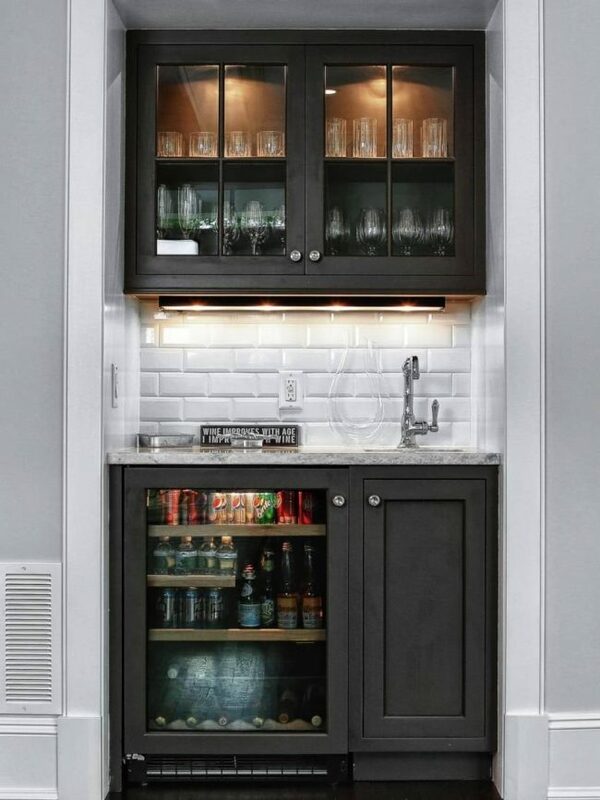 You might like the idea of having a built-in bar which makes better use of the existing space. The secret for creating this type of bar lies in adding a giant mirror to maintain the illusion of space and ingenious shelving to keep the drinks and glasses neatly organized. Making the walls around the bar an integrated part of it can be a big plus in the eyes of your guests. While having a matching color and design represents a decent attempt, you could go one step further and mount some shelves to store drinks or a stylish rack to hold the glasses. Take a look at this cool wall-mountable stemware rack from Amazon. 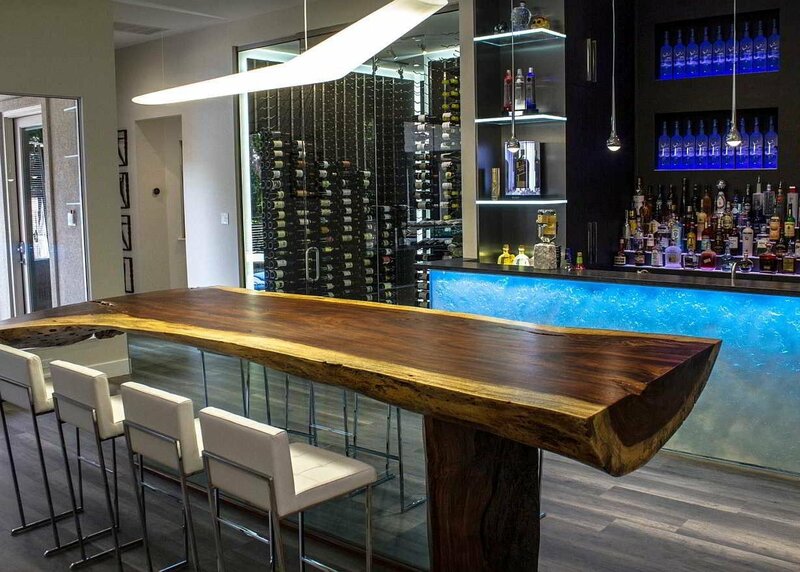 The island bar is a more flexible idea for a home bar design. If you like working more comfortably when preparing drinks, the island could be a great option. This is especially recommended for parties as your guests can sit on bar stools and enjoy the relaxing atmosphere. The only issue with this idea is that you will probably need a water connection nearby if you plan on installing a sink. If you wish to have your guests lingering in the bar zone, the simplest solution is to ensure adequate seating. You can’t socialize comfortably unless you can sit down. This is why you need to make sure you provide sufficient lounge seating for the guests. Adding extra seating is a good starting point, but you can also rearrange the existing chairs or replace them with vintage pieces. This is one area that deserves some more attention if you want to achieve better visual harmony with the rest of your bar elements. 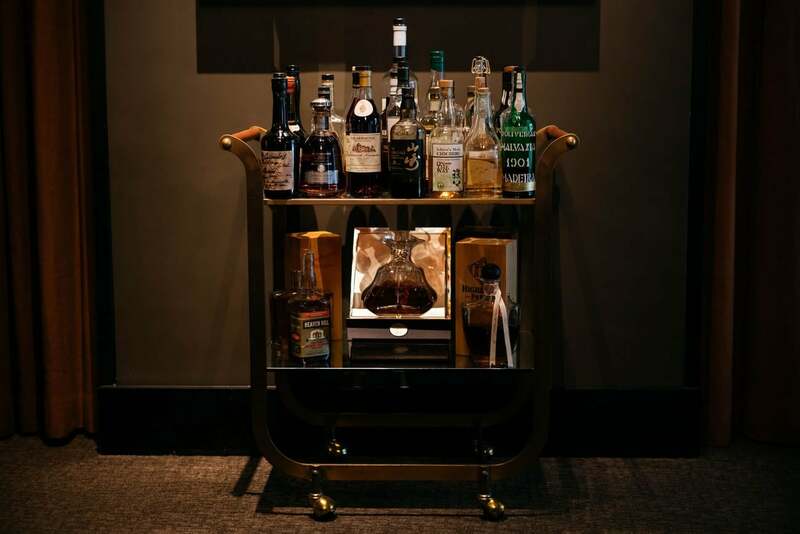 Because not everyone has the funds and the required space for a full-on renovation, bar carts represent a highly affordable solution to make your home a more entertaining place. 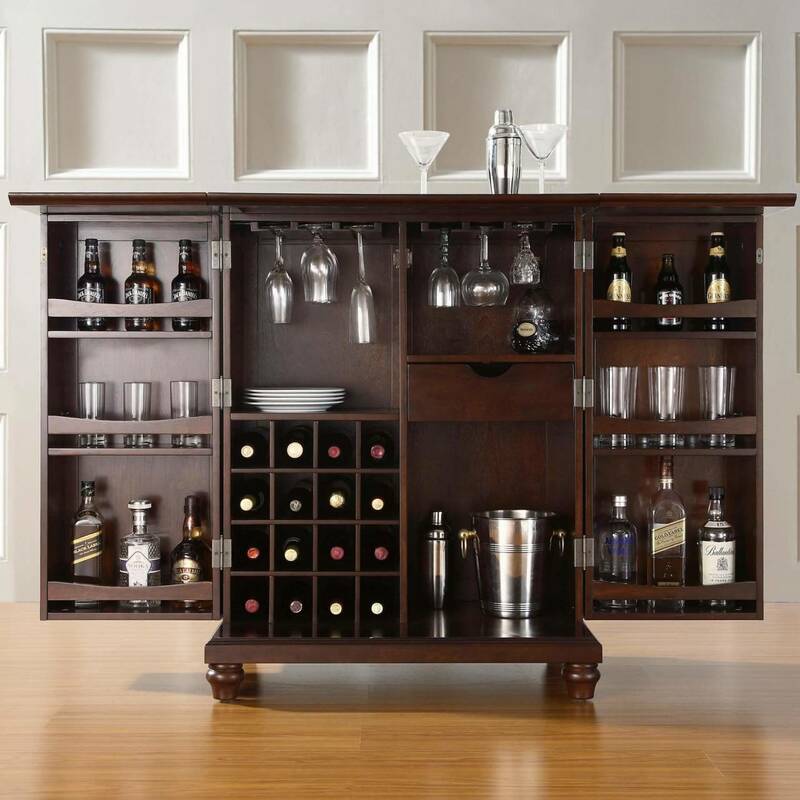 With the help of this cart, you can replace the need for staying at a permanent bar in one location of your home. The cart can be moved around without too much effort and aside from showcasing the finest liquors you own, it can also serve other purposes. The only downside is that you can’t use appliances on it, but that means you gain some extra space. 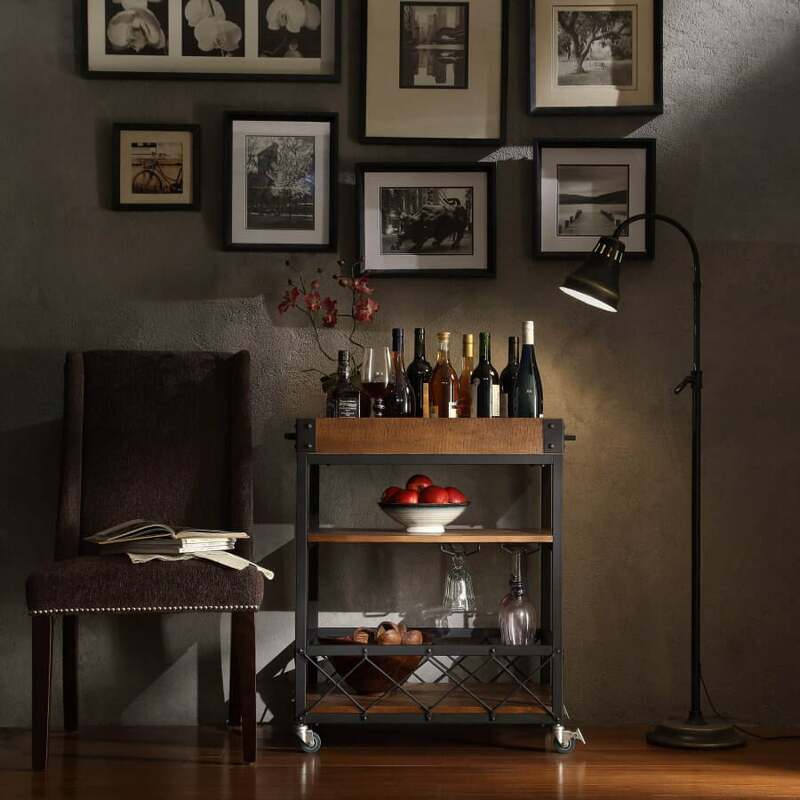 Here’s a premium-looking bar cart from Amazon that can truly impress your guests. After the bar starts to look like you’ve imagined it, the only thing left to do is to add some more sophisticated drinkware for a touch of elegance. From stylish shakers to unique-looking glasses you can try obtaining a wide selection of serveware to fit your beverages. You might stumble upon a cool flea-market find so don’t hesitate to look for more antique pieces. And don’t forget to keep the bar well stocked with a diverse assortment of drinks. If you’re running out of inspiring ideas check out your local pubs and taverns. Or just search online for some bar styles which could suit the style of your home. Mimicking real bars can be a helpful step when trying to determine the look of your new home bar. While borrowing certain elements like stools, glassware, and lights should be fine, it’s important to maintain an original look by incorporating some unique features. Perhaps you could renovate the walls and ceiling in a more striking way. Those with a sufficiently large patio should consider creating an outdoor bar. There are a few technical difficulties in case you wish to have appliances or a sink, but if that can be solved, the outdoor bar can be a stunning way to entertain your guests. 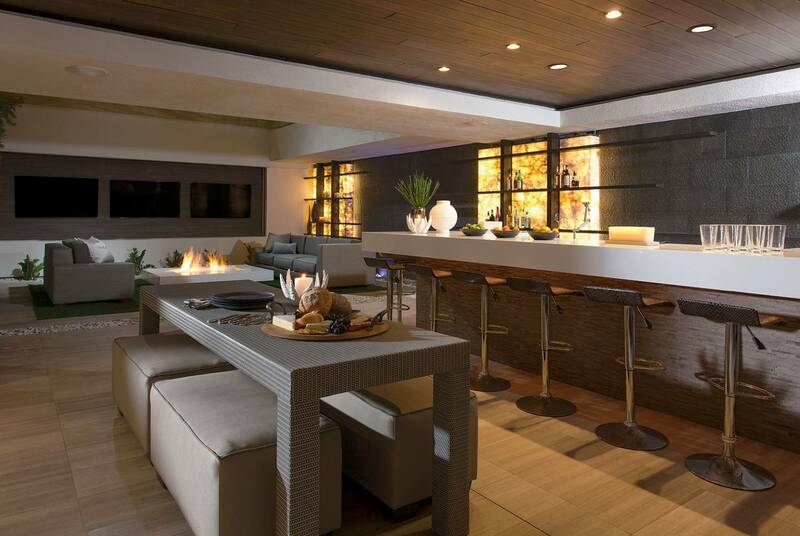 To create a solid outdoor bar, you need to consider building it closer to the house for convenience reasons. There’s also the problem of shade that can be solved with the help of a reliable patio umbrella. If the construction of a fixed structure doesn’t sound too appealing to you, remember that lots of bar carts can be taken outside as well. Some people don’t like the usual designs of home bars and they crave something that’s completely unique. If you want your bar to stand out from the crowd, a simple solution is to repurpose other items. With enough inventiveness, you can transform items like TVs and pianos into main bar components. It won’t hurt to be extra resourceful if you wish to tackle this kind of project. This is definitely not the kind of design suitable for everyone, but you can also work with smaller items. It’s easier to repurpose wine bottle corks or beer cans and create some eye-catching accessories that complement well the rest of your bar’s decor. Hiding the bar can make for a nice surprise when having guests over. To be able to create this design you will need to have sufficient space to hide your bar behind large doors. It’s also important to integrate the secret bar area with the rest of the décor. When the bar is opened, the color tones should blend seamlessly. Those who set a generous amount of money aside for creating their home bar will probably like the idea of adding a luxurious vibe. For this design to work, you will need some classic furniture pieces and it’s recommended to combine elegant colors for creating the ultimate luxury experience. This bar is designed for anyone who appreciates simple pleasures. 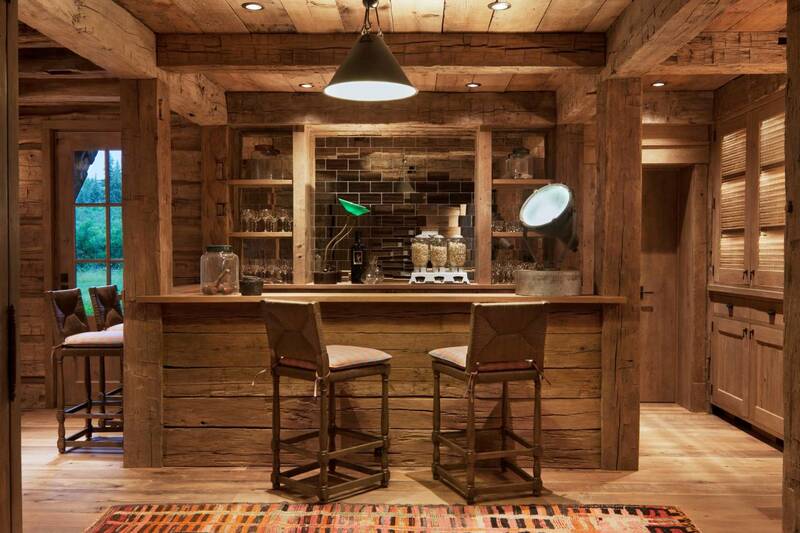 One style that never gets old is the formal home bar. By combining simple colors such as black and white tones, you can turn this corner of the room in a more sophisticated place reserved for impressing your guests. To complete the overall formal look, you shouldn’t forget about a multitude of cabinets and a large mirror. This wraps it up with our best home bar ideas. Please don’t forget to share our work because we really put a lot of effort and love into bringing all of this info together. 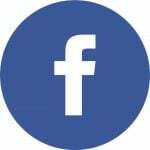 We also have plenty of other articles on topics like How to Decorate in the Belgian Style or tips on How to use Pampas Grass as a Decor piece, so be sure to check those out as well.